Rubber rollers are said to be the heart of offset printing machine, without rubber rolls printing machine is like body without heart. 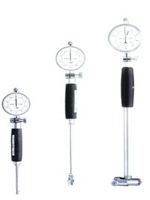 Like heart distributes blood to whole body, rubber roller distributes ink and water. Quality of rubber rollers are directly related to the quality of printed job. Poor quality of rubber rolls will reflect in the printing job. Rubber roller must be checked regularly time to time and should be replaced periodically with new or recoated ones. The most economical way is to get rollers recoated, but it is a fact that recoated rollers have much differential properties than a new one. For the benefit of printers and printing discussed below are some checking and tests that must be performed with recoated as well as new purchased rollers before mounting them in your machine. Every printing machine has different sizes of rubber rolls at different positions and purposes. Different sizes play different role for transferring ink and additives to the plate and to paper. 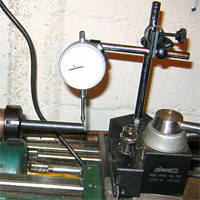 Diameter of roller must be checked by Micrometer at 3-4 positions across the roller length. Slight variations could be there in diameter but should be under tolerance end to end across the length. 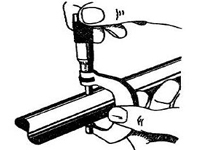 LENGTH CHECK The length of the roller must be checked by vernier caliper. Length of the roller varies with different designs of printing machines and according to the print area. Roller length checked in two ways.Face length which is the coated length, as per the requirement of printer subject to the printing machine and printed job area.Total length is complete roller length measured end to end with spindle, which is as per the make and drawing issued by the machine manufacturer. Shaft sizes must be checked before fitting roller to the machine, all the step sizes and their diameter should be as per the drawings of machine. Air bubble in rubber roller can be very dangerous as the roller can get burst while in application and could damage other important parts like plates etc.Most of the time air bubble is not be visible with naked eye. To check air bubble grip rubber roller or slide your finger across the rubber length with a little press on rubber. 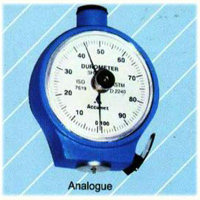 With this an air bubble can be detected or felt as a deformity in the rubber. Bearing seat is one of the most important components of a roller that must be checked before installation. 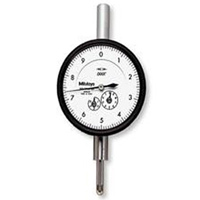 Bearing seat of internal diameter can be checked by bore gauges available in market. Slight variation in the ovality and loose size of bearing seat could cause trouble in printing and can disturb whole mechanism of printing. Bearing seat must be checked and repaired at regular intervals. Bearing seat is prepared as per the bearing size. Pin holes are very minute holes on the surface of rubber. These holes can be microscopic. These pin hole may get reflected in the printing job. Pin hole is a manufacturing defect and should be removed by the manufacturer at its inspection lab. Uniformity should be check by just sliding your finger smoothly across the rubber length of roller. 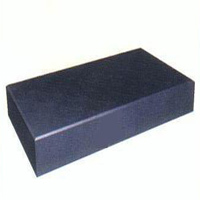 While sliding your finger feel if there is any difference in the surface of rubber. Due to poor grinding at manufacturers end deformity can felt with highs and lows in the surface of rubber. There should be a clean linear surface.This can also be checked by oil test. Oil test is an ideal test especially for the printing machine rubber rollers.Oil test is done on a surface table specifically available in market. Oil test is an easy test for knowing the uniformity and the behavior of roller while transferring ink, additives in the machine.The oil impression is left by the roller when rolled over on the surface table, impression should be smooth, linear and same throughout.Any difference in the impression will take away roller from its ideal transfer properties. Run out test is done to know if there is ovality in rubber diameter. Run out is tested by rolling roller on dead ends and by using dial gauge at every feet or at 3-4 check points across the length of roller, run out must be maintained under maximum limit of 0.02 micron. Roller must be checked for balancing. Balancing can be done in two ways one is Static Balancing another is Dynamic balancing.A dynamically balanced roller adds in the ideal properties of rubber roller. Balanced roller transfers better ink additives and consumes less power when machine start and stops several times.Easiest way to find roller is balanced or not by giving a free rolling push while mounted on a linear dead ends, if roller rolls back or oscillate while stopping the roller is unbalance. If the roller stops without any movement then the roller is balanced.